Dorothy Kasungwa has experienced a lot of loss in her life. 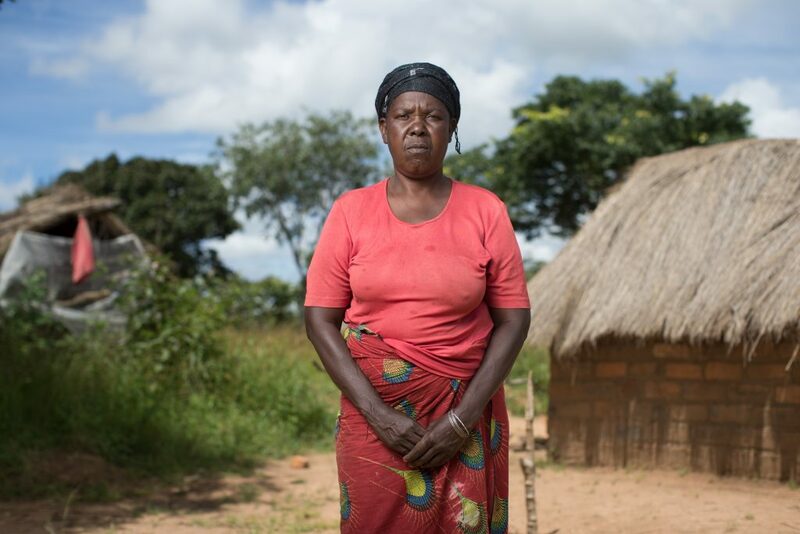 She has buried seven of her eight children and now works her land alone, sometimes finding it a struggle to make ends meet as she cares for her two grand-children, aged 12 and 19. Her age doesn’t allow her to do much work on her farm. In 2014, she was able to grow maize and beans but had very little left over to sell and make a profit. 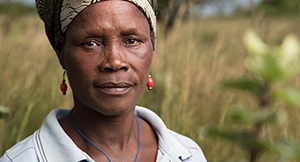 Dorothy joined the project with the hope to expand her farming activities. 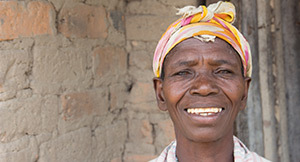 A loan from a savings and credit group supported by the project enabled Dorothy to pay her grandchildren's school fees. She also received groundnut seeds from the project, which she planted alongside her other crops. With the surplus, she was able to feed her grandchildren decent meals. Her harvest gave them enough to eat for two months only. For the rest of the year, Dorothy had to work on her neighbours' farms to make ends meet. She was paid in food. Dorothy admits that she was afraid to borrow too much, as she was concerned that she might not be able to pay back the sum she had borrowed. In 2016, bereavement struck again. When we visited, Dorothy was in Lusaka, for the funeral of a son who was killed in a violent attack. Her two grandchildren are still living in the village, and attending school. As the section chair of Nsunda, Showthem has many responsibilities: he must look after 90 households in Nsunda while also providing for his wife, three children and two grandchildren. Most of the people in Nsunda are small-holder farmers. Himself owns four acres of land, on which he grows cassava, millet and beans. As headman, he hoped the project would help his community improve its farming production, thanks to the training and resources provided. Showthem received an improved breed male goat to improve his livestock, and sweet potato vines that he planted for the first time. He also attended a number of training activities. As a result his yields increased and he was able to feed his family three meals a day for most of 2015. A big challenge remains for Nsunda's farmers, he said. Because of a lack of market nearby, villagers have to sell their crops to passersby, who try to get the cheapest price they can. In 2016, Showthem was not so optimistic about the harvest to come, mainly because of unpredictable rains. Nonetheless, Showthem looked to the future with optimism. As he received training on goat rearing, he was hopeful of expanding this aspect of his farm work in the future. For him, the road under construction is a sign of better days to come, as it will bring new trade opportunities for Nsunda. After her husband passed away and her seven children grew up and left the farm, Emma Kayela found herself struggling to maintain her six acres land on her own. Many of Emma’s crops went to waste because she couldn’t afford to hire people to help her to maintain her crops, and harvest them when they were ripe. She joined the project with the hope to be able to afford equipment and fertiliser to support her in her work. Emma's situation changed when funds provided from the new savings and credits group allowed her to buy flour and cooking oil, with which she made fritters that she sold at monthly markets. Bereavement threw a shadow on her year though, as one of her children died in unknowned circumstances. One of her other children came back to live with her and help her with the farm work. 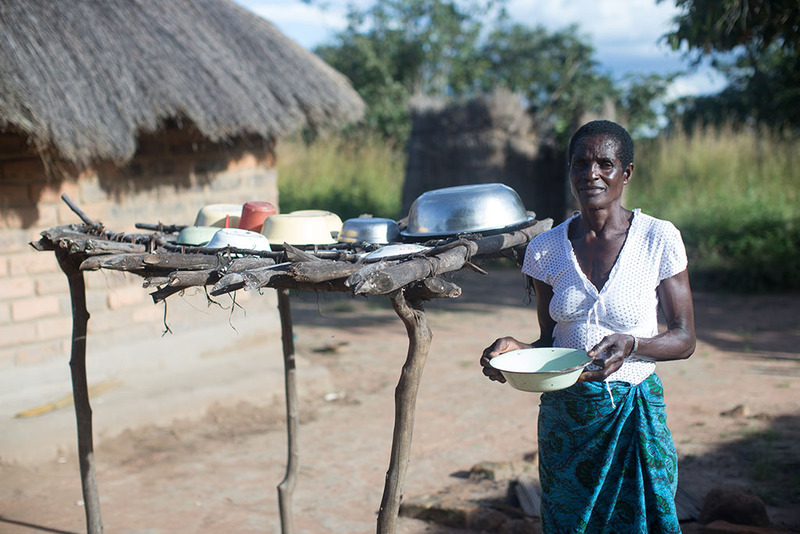 With the additional income she made the year before, Emma was able to buy food and to repair her home. She invested in a new thatched roof for her home to protect it from heavy rain, which gave her new found optimism that better days are around the corner. 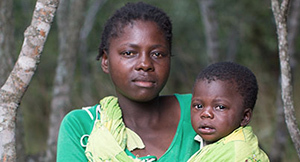 With no-one to support her, Justina is the sole provider for her 3-months old baby. 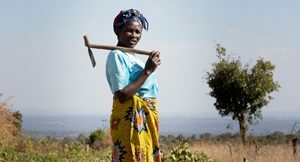 Before the project started, she produced very little on her land, and spent much of her time working on the farms of others in return for food. For each day of work, she would get a bowl of nshima, which would last them three days. 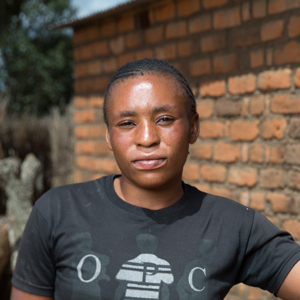 By joining the project, Justina hoped to increase her production of beans and to buy livestock. 2015 was a difficult year for Justina. Although she received beans from the project, the heavy rains have affected her crops and the harvest wasn't as good as she expected. The roof of her house collapsed, forcing her and baby Eric to move into a neighbour's house. Justina is hopeful that this year's harvest will be better than the last, and that she will save enough money to repair her roof. She has seen that the life of some in the village has improved since the project started, and hopes that things will turn around for her too in the near future. 2016 has been a nightmare year for 28-year-old Grenda Mapondwe. Although she is an active and enterprising mother of a young family, the sudden death of her husband just weeks before her new baby was born was devastating for her. Coping with bereavement, Grenda has nonetheless had to get on with life. She has three young mouthes to feed, and knows that she needs to make a success of her small farm and business. “Because I am on my own I will have to work harder. I need to be more organised if I want to make a success of my business,” she says. Grenda fortunately grows enough to be able to sell a small surplus of maize (corn) to others in the village. She is also trying to supplement her income by buying and selling secondhand clothing – a business that she started with a small loan from a Self Help Africa supported savings and credit cooperative. The income she has earned from selling clothes has helped her greatly, she says. Although she had started to build walls for a new home, work on the construction has stopped since her husband’s death. She hopes however to be able to put a roof on soon. At the moment, her mother is helping out, looking after her two older children while she works – her youngest baby by her side. Grenda is a married mother of two children. She also takes care of one of her niece's. The small farm Grenda's family owns allows them to grow beans, maize, and nuts. Grenda is able to sell the maize she produces on her farm at the market in order to make a profit from her crops. The goal for Grenda is to be able to sell even more of her crops at the market and not just maize. Both of Grenda's children are able to attend school and the whole family is able to eat three times a day to stay healthy. Grenda began her own business of buying petrol and selling it to passing-by motorcylists in order to make some more money. Grenda's dream is for her children to complete school and receive a great education, something she never got the opportunity to do. Felister is a divorced farmer. Through cultivating and selling beans, maize, cassava, and groundnuts on her farm, she provides for her four grandchildren and one of her children who still lives at home. In 2014, they were able to eat twice a day, maintaining a healthy diet. 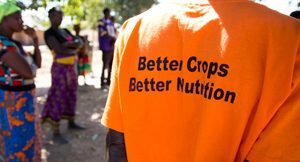 Still, Felister dreamt to make their life better: “I joined the project with a strong will to work hard and, after receiving training, I was certain I would be able to produce more food from the bean and groundnut seeds that I received”. It is exactly what happened the next year. With the extra income she made from selling her surplus, Felister started saving as part of the savings and credit group created by the project, and encouraged villagers to develop their own small enterprises. As an entrepreneurial woman, Felister established a business of her own. In 2015, she started buying small fish (kapenta) from the border with Tanzania, and buying flour to make and sell fritters. 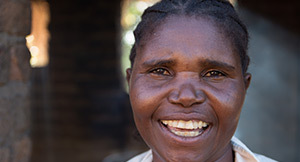 As Felister's income increased steadily, she was able to buy bricks to built a new house. On the downside, bad rains affected harvests, and Felister didn’t produce as much food as she had hoped. As a result, she had to ration family meals, and for a time they only ate a single meal a day. Felister is still optimistic about the future. She says the new road that passes by Nsunda will bring markets closer, and create new opportunities for her to develop her business. The warm smile on Charity Kamwala’s face speaks volumes about the transformation there has been in her life. The 57-year-old widow, who cares for seven children and grandchildren, joined her local savings and credit association in 2014. She borrowed a small loan (50 Zambian Kwacha). With this money, she started making and selling fritters. The profit enabled her to buy iron sheets for the roof of her home, and also gave her the funds to build additional rooms. Farm support from Self Help Africa on this Irish Aid backed project also enabled Charity Kamwala to grow beans and groundnuts on her small farm, alongside her traditional crops. The new crops not only gave her better food for her family, and a surplus that she was able to sell. In 2016, her farm plot, like many others in Nsunda, was affected by erratic rains. Instead of an expected ten bags of maize and beans, Charity says that she harvested only three. Her groundnuts rotted in the ground. When we last spoke, Charity says that the family was enduring a season of hunger. They were eating just two times a day. But Charity is full of resources. She keeps selling fritters and, in 2016, is determined to turn things around. To help her with this she has even started a new income-generating activity, making and selling table clothes. Charity has seven children (aged 18 to 28) and four grandchildren. While some of them are now independent, she lives with and provides for seven. Charity grows maize and beans on her farm. Her harvest is not enough to properly feed her family. By borrowing a small loan from a local enterprise group created by Self Help Africa, she has started off-farm income generating activities to provide a better living to her dependents. With the money she made from selling fritters at the market, Charity built onto her house, adding new rooms and a tin roof. This has meant better living conditions for her family. She is eating better now as she was able to plant new crops, including beans and groundnut. She’s saving money to install solar panels on her house. She could grow more if she was able to afford to hire more labour to help her on the farm, she says. If her income improves, she’s planning to hire help on her farm. With eight children of his own, plus three of his sister’s, Kennedy and his wife Lina have many mouths to feed. Kennedy set up a fish business in 2015 through gaining small loans from a credit union established by Self Help Africa. This has allowed Kennedy to save for the first time and pay school fees for his dependents. Kennedy is ambitious and is looking ahead to the future and has plans for the year to come.“I plan to change things this year. If I have a good harvest, I want to build a new house. One with iron sheets and stronger walls,” he tells us. Kennedy and his wife Lina have eleven dependents to feed and support. Excessive rain ruined their crops and they therefore had a bad harvest and a food shortage. Kennedy wants to establish a small business to start buying/selling things such as fish and would like build a new home. Kennedy was able to save for the first time and pay school fees for his dependents. This year Kennedy and wife Lina had enough food and were feeling happy and comfortable. Kennedy still wants to build a new home; one with iron sheets and stronger walls. 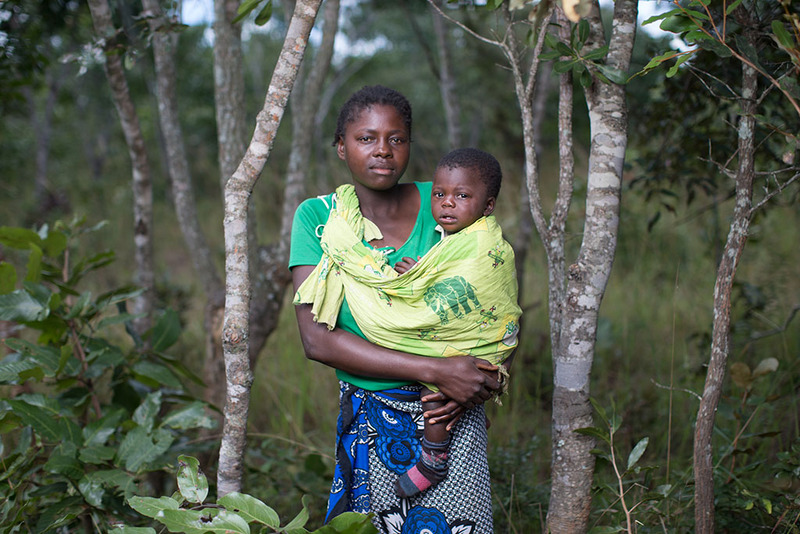 A mother of five, Blandina lives with HIV, a condition that her husband Emmanuel Musondo also has. In the past, she admitted that farming is a struggle for her and said that the toughest thing she has to deal with is her illness. When we met her last year, Blandina was excited at the prospect of the arrival of her first grandchild, although she worried that it will be another mouth to feed in the household. Blandina took part in several training courses and activities organised by Self Help Africa in Malela village, and also received good quality seed that has allowed her to plant different crops. Unpredictable rainfall affected her yields, while her poor health also limited the amount of work she was able to do. We were not able to meet Blandina Nkandu in 2016 as she was away from Malela, collecting her medication. Blandina is 55 and is married to Emmanuel. She has five children. Most of the time, Blandina and her family harvest just enough food to last for a few months time. She says they sometimes go to sleep without eating anything. After receiving seeds and training from SHA, Blandina hopes to have a better harvest and consequently to have a more varied diet. Blandina's daughter, Imelda, is pregnant with her first child. Blandina is worried she won't produce enough food to feed the both of them. The long rains have flooded her field and some of her crops have rotten. She still has harvested enough food to eat twice a day. Blandina is hopeful that the weather will be better next year so she can produce more food and start selling the surplus. 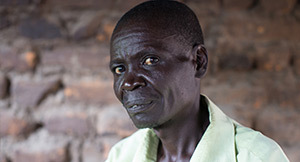 Like his wife, Emmanuel is affected with HIV. The exhaustion he feels daily because of the disease prevents him from working his land to tis full potential. 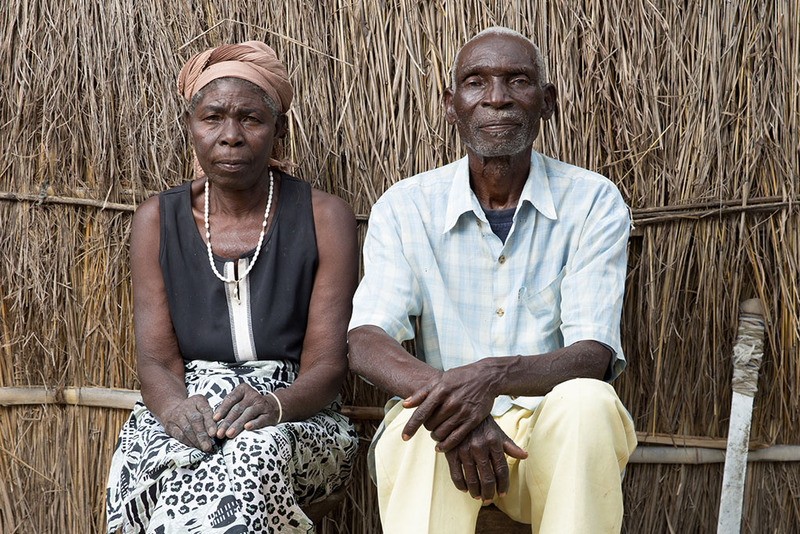 In 2014, he grew only cassava and harvested just enough to feed his five children. He had no surplus to make an income. Emmanuel and his wife received training and seeds, including beans, groundnut, sweet potato and sorghum, allowing them to diversify their production. Because of the bad rain, a lot of Emmanuel's crops rotted in the ground. Only the sorghum was spared. 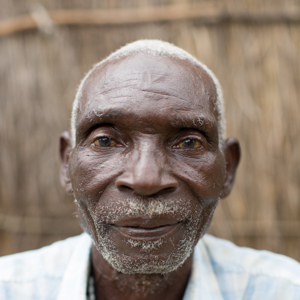 Still, Emmanuel harvested enough to feed his family twice a day with sweet potato, cassava and tomato. Despite the set-back, Emmanuel was determined to plant again, and was optimistic that the next harvest would be better than the last. In 2016, heavy rains hit Malela once more, but fortunately, Emmanuel was able to harvest their groundnut and cassava crops before they were damaged. A happy event this year was the birth of his daughter Imelda’s first child. Blessed to become a grandfather for the first time, Emmanuel is looking to the future with confidence. Although she loves her peaceful and safe life in Malela, Pascalina Mulenga finds feeding her young family a challenging task. Still, aged 22 and the mother of three young children, Pascalina believes that there is light at the end of the tunnel. 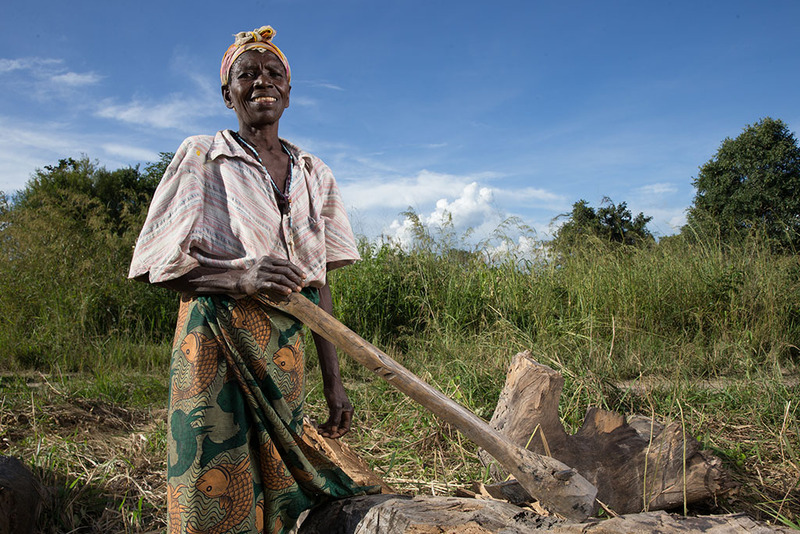 Before the project started, she could only grow cassava on her small land. Its harvest would give her and her children enough food for about three months. For the remaining part of the year she would find work in other villages and get paid in food. 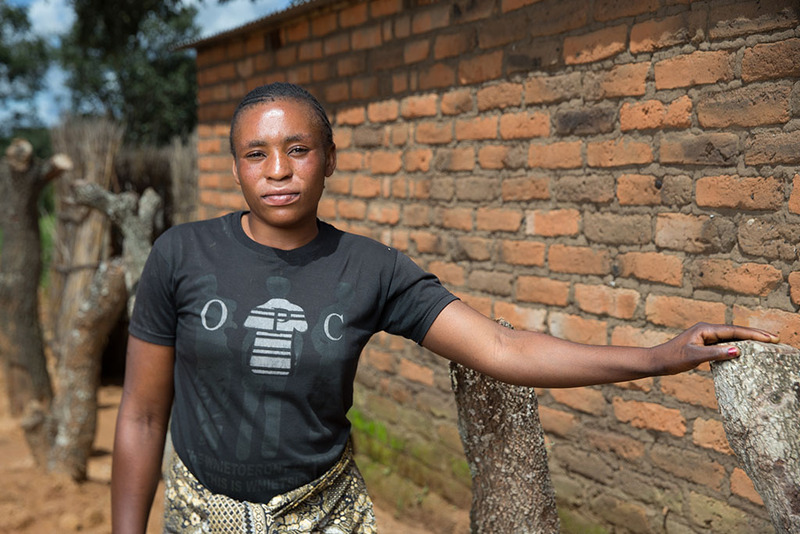 Pascalina was provided with training so that she could become a better farmer. She also received good quality groundnut seed. In 2015, Pascalina told us she wouldn’t have managed to successfully grow these crops without the training provided. The groundnut looked good and she was about to harvest them. Although she was able to feed her children properly, her mother Foster gave her food in times of need. Pascalina was still hoping to be able to make a sufficient income from her farm to stop doing piece work on other people's land. Her goal for 2016 was to grow enough so she could keep some of the seeds for herself and sell the surplus. She also wanted to start growing maize. When we visited Malela in 2016, Pascalina was away with her youngest child, temporarily working as a housekeeper at her cousin’s home. Her husband Martin and two other children were still living on the farm in Malela. 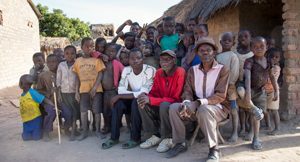 Seven years ago Tandeo Chungu was named village headman of the Malela village, and assigned the responsibility of looking after 23 households. When we first met him, he said growing food was one of the main challenges of his community: the heat would dry out the crops before they could be harvested. He himself owns a large plot of land, but his age only allows him to farm one and a half acre of it. Tandeo and his wife would wake up at 6am everyone morning, go straight to their farm and come back at 4pm for their only meal of the day. 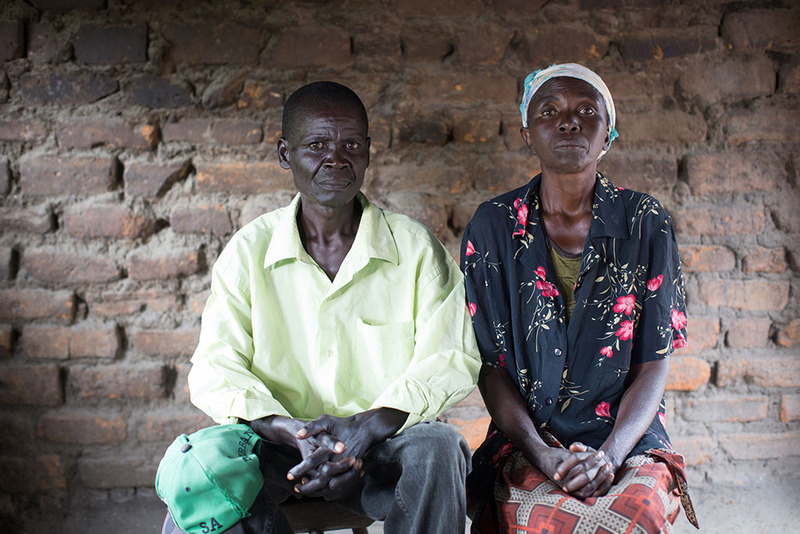 In 2015, Tandeo Chungu lost his wife Fidelia to illness. They had been married for 50 years. Today, Tandeo says he’s noticed a great impact in his community since the arrival of SHA. The project has allowed Malela’s farming families to access good quality seeds, which they couldn’t afford to buy in the past. He is positive that if your support continues and if they keep working hard every year, eventually Malela will grow enough food for its people. Tandeo has been married to Fidelia for over 50 years. Three of their children and their six grandchildren live in the village. Tandeo says that it is difficult to grow food in Malela as the heat dries out the crops before they can be harvested. 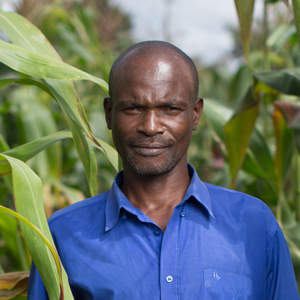 Tandeo reckons that with this year’s rain and SHA’s arrival, harvest will be better in the coming year for his community. Tandeo’s wife Fidelia passed away this year. His daughter returned to Malela to take care of him. He now lives with her and his six grandchildren. With the quality seeds distributed in Malela last year, he harvested a tin of beans and a tin of maize. Because of the long rainy season, his harvest wasn’t as good as what he was expecting. Tandeo has faith in his community. He’s sure that they will keep on working hard in the coming years to make the most of SHA’s backing and increase their food production. Stephen grew up in Malela with his parents and his six brothers and sisters. In 2014, he was one of two siblings who were attending primary school. At the time, he dreamt of becoming a priest, thinking it would be a much easier job than farming. With a head full of dreams, he couldn't help but worry that his parents would not have enough funds to pay for his education past primary level. At the time, they were eating only once a day. That year though, Stephen's family received groundnuts and goats. This year's harvest was a success on the family farm. 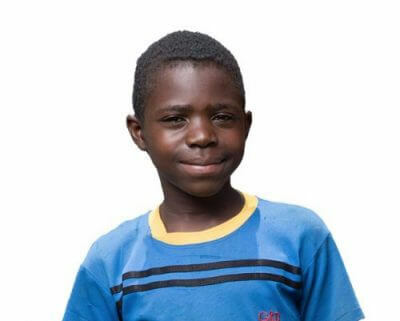 Stephen was able to eat twice a day and, as a result, his school results improved. He has changed his mind and wants to become a soldier and move to Lusaka where, he thinks, living conditions will be better than in the countryside. With the income earned from selling one of their goats and their surplus of groundnuts, Stephen's parents replaced their old thatched roof with an iron sheet one, so the house is better protected during the rainy season. Still in school, Stephen has started studying religion. Under pressure from is parents, he has ditched his idea of becoming a soldier and wants to pursue a career as a priest. 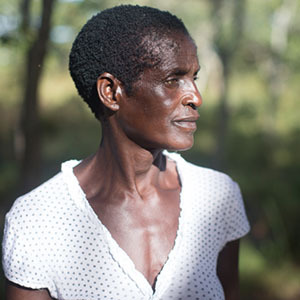 On her two-acres farm, mother of seven Rosemary grew maize in addition to the traditional local cassava. At the time, she could only feed her family one meal a day. Her income was only enough to send two of her children to school. When the project arrived in Malela, Rosemary got involved very quickly. She became a lead farmer, teaching fellow farmers how to plant, how to improve their crops but also how to keep what is harvested. The project provided Rosemary with groundnut and soya bean seeds so she could diversify her crops, and consequently be better equipped to cope with the effects of a changing climate. This year, Rosemary's livelihood was transformed. Her new crops grew well, and she was able to sell a surplus. With the income, she was able to keep her children in school. Her children were able to eat twice a day, and did better at school as a result. That year, Rosemary was also looking forward to receiving goats and chickens to breed. Rosemary's life kept on improving. With the income she made the year before, Rosemary was able to invest into iron sheets to make her roof more resistant to the heavy rains that strike the village almost every year. 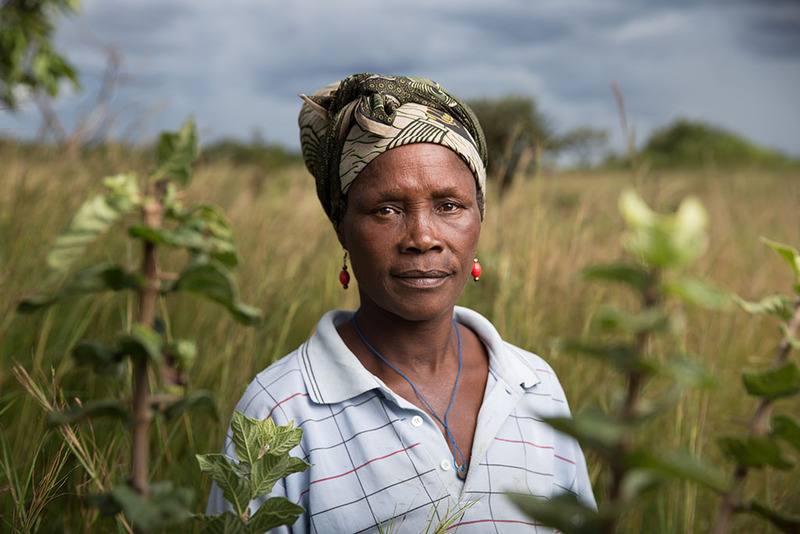 The extreme rainfall that hit Malela in 2016 affected only her beans, the harvest was otherwise successful. Rosemary even planted two new crops on her field for the following year sweet potato and orange maize. 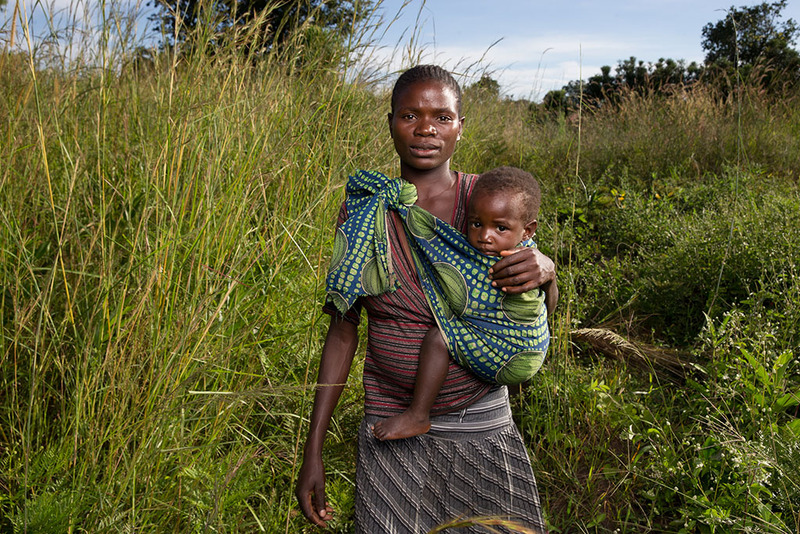 Seeing all the positive improvements in her life, Rosemary sees a brighter future for her children. 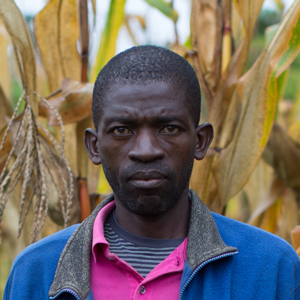 When we first visited Malela, 46-year- old Francis Miushela was one of the most productive farmers in the village. On his ten acres land, he grew maize, soya beans, groundnuts and cassava. But the long rainy seasons and a lack of access to markets prevented him from realising the full potential of his land. Francis is convinced that this challenge will not be permanent however, and he has attended a number of training courses and workshops that he believes will help him to overcome many such obstacles in the future. Alongside learning measures to avert similar crop losses in the future – specifically by planting his crops on raised ridges to prevent waterlogging – he has also been learning how to source new markets for his harvested crops. 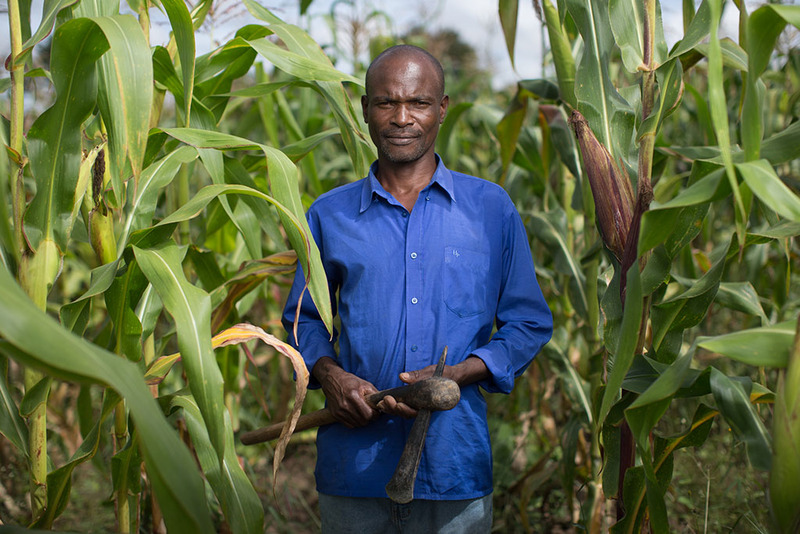 While the beans were a write-off in 2015, some of the other produce he grew on his farm – including maize and cassava - were sold at the market, providing an income for his family. With this money Francis is now able to afford school fees for all six of his children as well as better equipment to help him maintain his farm and adapt to the effects of climate change that have hindered him in the past. As Francis looks back on the last few years, he says that his family’s and his community’s life is definitely improving. He foresees a better future for his entire family, a future filled with more harvests and less barriers to success. Francis is a 46 years-old farmer. He lives with his wife and his six children. Francis owns a land of ten acres and grows a variety of crops, including maize, soya beans and groundnuts. Francis has become a lead farmer under the SHA project. He hopes to be able to grow more food and to get better deals on the market for his crops. As a lead farmer, his goal is that his whole community benefits from the training he receives through SHA. Francis has noticed a change in the lifestyle of his family, including a more varied and nutritive diet for his children. Excessive rain caused some of his crops to fail, mainly groundnuts. However he managed to grow enough food to make an income through the new markets he sourced after his training with SHA. He also received chickens that he’s started to rear. Francis is convinced that by continuing his work with SHA, his situation will keep improving. He’s already certain that the education he’s able to provide to his children will pay off, and that they will go on to work as nurses, teachers or employees all over the country. Foster Simeo is a model of resilience in Malela. Farmer, mother of five and grandmother to 19 children, she has to provide for her husband, death and mute, and her youngest child as well as two of her grandchildren. Before the project arrived in Malela, she only grew cassava, as she couldn’t afford to buy seeds and produce other crops. Her harvest provided her family with one meal a day. When they ran out of cassava, they would simply go without food, or work for others in return for food. Since the arrival of the project, Foster and her husband have doubled their efforts and started growing maize, beans and groundnut with a group of farmers. They have also received training on how to grow and preserve these new crops. When harvest time comes, the members of the group share the food harvested. They are also able to keep some to plant again the following year.This access to new crops has come just at the right time. 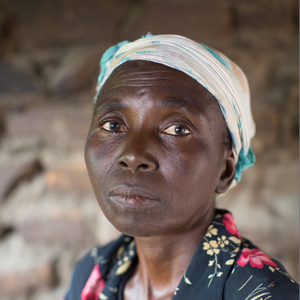 In 2015, most of her cassava withered in her field and she survived solely on the harvest from her new crops. This year had its load of set-backs for Foster. She fell sick and couldn't get adequate medication from the local clinic. Pascalina, one of her daughters, had to temporarily move to another village to do housework for a cousin. It meant Foster had to take care of two of Pascalina's children, adding more mouths to feed. On the upside, the village received goats from the project, which she hopes to breed and make an income from. Seeing the agricultural improvements brought by the project, she now looks to the future with confidence. Our vision is a rural Africa free from hunger and poverty. Self Help Africa is a leading international development agency with an expertise in small-scale farming and growing family-farm businesses. We work in nine countries in sub-Saharan and West Africa, tackling poverty and improving the lives of local communities. Self Help Africa works both with its own African staff, and through local partners, to undertake a range of development programmes amongst rural communities, which include: agriculture and nutrition, gender, climate change adaptation, enterprise development, micro-finance and cooperatives. The people are poor. They have limited access to the outside world and, in the main, they struggle, from year to year, to make ends meet. Most households rely on farming. Most farms, however, don’t produce enough food to feed a family for a year. But who are the people of Malela and Nsunda? What are their hopes and dreams for the future? 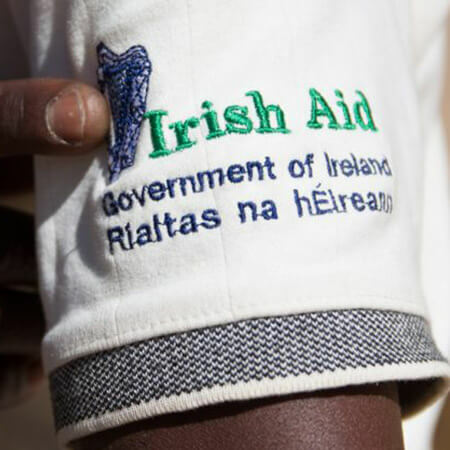 For five years, Self Help Africa has been working in Zambia’s far north, on an Irish Aid backed project that covers Mbala and Luwingu districts. In this remote poverty pocket, support services are scarce to non-existent. For a part of the year, many people survive on just a single meal a day. The villagers of Malela and Nsunda are amongst 80,000 people in the far north that the project is assisting. 56 community-based savings and credit groups encourage saving and provide loans to support small income-generating businesses. Lead farmers receive farm training, new agricultural methods are introduced, livestock breeding and new crops are promoted. Stronger and more effective links are developed between local communities and existing support networks. Women receive equal support and their participation in local decision-making is promoted. 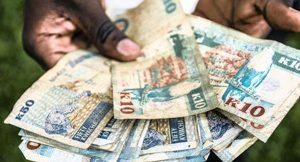 Zambia is one of the poorest countries of sub-Saharan Africa. 60% of its population lives below the poverty line. 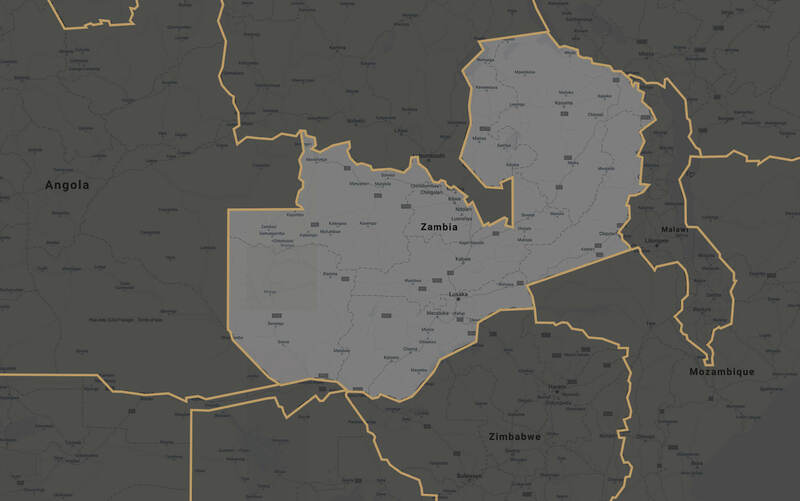 Malela and Nsunda are both located in Zambia's Northern Province, tucked between the Democratic Republic of Congo and Tanzania. It lies more than 1,000km away from the capital city Lusaka. In this isolated region, access to schools, health services, markets and information is very limited. So are the opportunities for the locals to work their way out of poverty. “If somebody who left this village two years ago were to come back today, they would be confused. Nsunda is situated more than 150 km away from the populated city of Mbala, on the edge of a wide dirt road that is the main artery connecting the region to Tanzania. Before the project started, only 58% of households were able to buy or to grow enough food to meet the needs of their family throughout the year. Across the district, 80% of households access water from unsafe or unprotected sources. A road building scheme, well under way, is opening up new opportunities for local farmers, who are increasingly trading their crops with passing trucks and buses. On the heavily-rutted track connecting Malela to Luwingu, the nearest significant centre of population, vehicles are rarely seen. The village is close to the end of the line – very few have ventured as far as Luwingu. During the lean season, lasting 2 to 3 months, most people in Malela only eat a single meal a day. Across the district, 53% of children under five are stunted, a number higher than the national average (45%). The poor state of the road means very few opportunities for trade. However, the recent improvements in agriculture is prompting local farmers to think of ways they could reach markets in the future. Felister Namfukwe left her husband a few years ago. Dorothy Kansungwa, 73, has to face the difficulties of life on her own. Her husband and seven of her eight children have passed away. Aged 54, Showthem Ikiombe carries a lot on his shoulders. He’s responsible for the wellbeing of his community and has to provide for his six dependents. Emma Kayela is a 58-year-old widow who farms six acres. 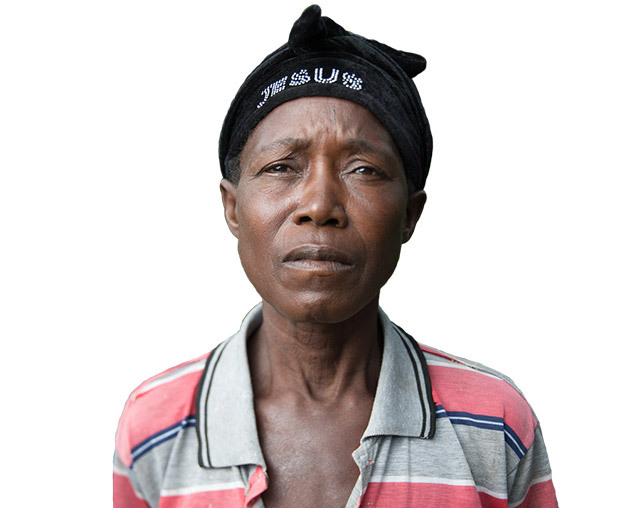 Her biggest challenge is having to farm alone, as her seven children have left the village. 19-year-old Justina struggles to care for her baby Eric. As both her parents passed away and her partner left when she fell pregnant, she can only count on herself. 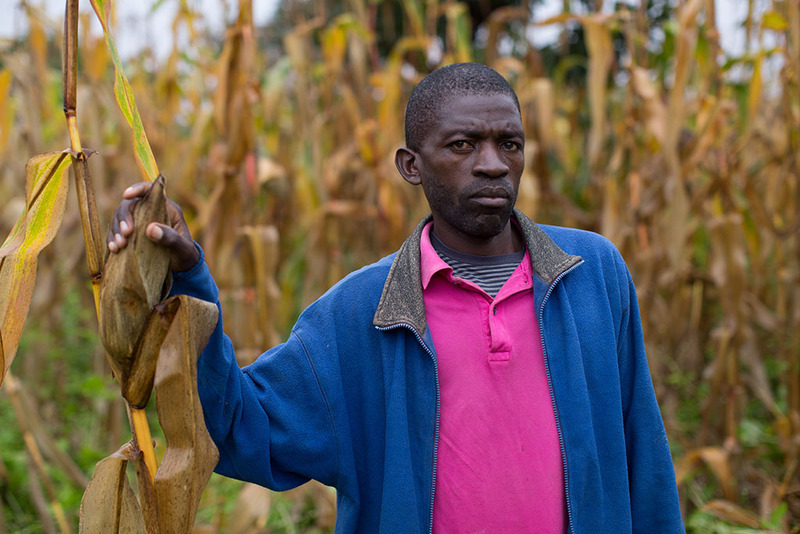 Due to illess, Emmanuel Musundo, 56, is limited in the work he can do on his farm. 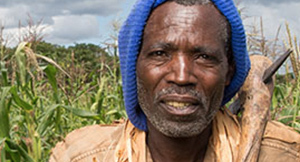 Affected with HIV, he puts all his energy into growing food for his family. 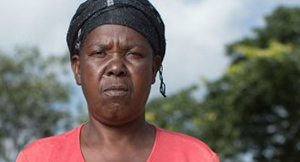 The mother of seven is a model for other farmers in Malela. As a lead farmer, she helps her neighbours grow more food, and takes great pride in this role. the mother of three juggles several jobs to earn a living for her children. She has also attended trainings to learn new skills. Grandmother to 19 children, Foster has survived off her poor harvests for many years, and today is doubling her efforts to increase her production. The percentage of households living below the standard of living threshold has reduced from 42% to 33%. 67% of households in the project area have access to sufficient food throughout the year, compared to 57% at the start of the project. Over half of the female participants feel they have more decision-making power within their household and community. 17% of households have access to financial services thanks to savings and loan groups initiated by the project, compared to 2% before. Families reporting a significant increase in household assets, including cash savings increased from 0 to 30% percent. Chronic malnutrition amongst children (aged under 18 months) has reduced from 40% to 31.4%. In addition, 28% of children are receiving at least the minimum food diversity in their diets, compared to 17% before. Households accessing safe, treated drinking water increased from 14% to 40%. In Nsunda, 88% of households are able to cover their family’s basic needs for the whole year. Before the project, they were 58%. 62 local enterprise groups were formed, with a total of 1,860 members. According to a Qualitative Impact Study conducted by The University of Bath in the project area in 2017. In 2014, we travelled to Malela and Nsunda for the first time and met 24 people. Each one of them had a unique story to tell. In 2015, the people of Malela and Nsunda told us about the changes they were starting to see in their community, and shared the challenges they faced over the past year. In 2016, the people of Malela and Nsunda reported mixed fortunes – torrential rainfall causing severe crop losses for many farmers in Nsunda.